The link between periodontal disease (PD) and cardiovascular disease is becoming clearer. Pooling results from seven separate studies conducted between 1989 and 2007 found people with periodontal disease are at significantly higher risk (34%) of developing cardiovascular disease compared to those without. 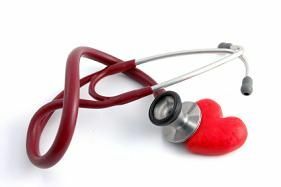 These observational studies do not specify whether treatment of periodontitis (PD) reduces the risk of cardiovascular disease, but it is a good example of how the health of the human body's systems may be interconnected.